Back in May of this year I read Sandy's post about how she had just finished running a 10K race and was now a size 12 in clothes. It was so far removed from being a post about complying to society pressures and ideals that it really resonated with me plus Sandy is one of my oldest blogging pals and I have a huge amount of respect for her. Her post made my eyes a little bit wet and instantly became the push I needed to do something similar. She became my inspiration. Coincidentally, Sandy's post was published on the same day I joined Slimming World and the weight loss has been a slow but steady process. None of this "I lost 6lb this week" for me which disappointed me at first when comparing myself to my fellow group members but then the group leader told me that if I lost 1lb a week for a year I would have lost almost 4 stone (my actual goal). On Tuesday 27th August I had lost my first stone. Some of the Slimming World group members had also taken part in a local Group Park Run using the "Couch to 5K" programme. I'd tried this method about four years ago but suffered from shin splints and lack of motivation. Spurred on (again) by Sandy's story and the enthusiasm of my fellow dieters I started running on the park with a few hundred other people on 21st June and on Saturday 30th August I completed my first official 5 kilometer (3.1 miles) run in a time of 42 minutes and 40 seconds. My goal is now to reach my goal weight by the time I attempt to run next year's Race For Life in 35 minutes (or under) after speed-walking it for the past two years. And I'm a little further down the road to regaining the body I want rather than the body I've currently got. Did you want to know about the quote at the top of the page? That was on the certificate given to us after completing the 5K run yesterday. Nothing has ever rung more true to me after doubting myself on the start of this journey. 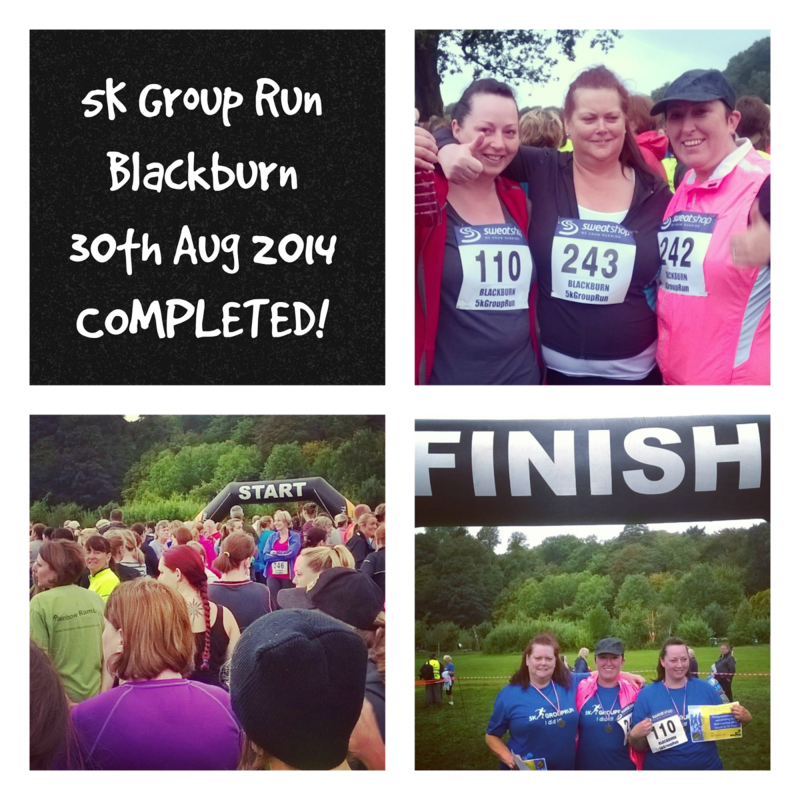 If you live in or near Blackburn have a look at the 5K Group Run group on Facebook for more details. The whole team is awesome and I'll be volunteering with them in the future to pay them back for everything they have done for me. Also, huge thanks to sportsshoes.com for kitting me out with the best running shoes ever and some proper running clothes.